Global arms trade is the only business that counts its profits in billions and its losses in human lives. 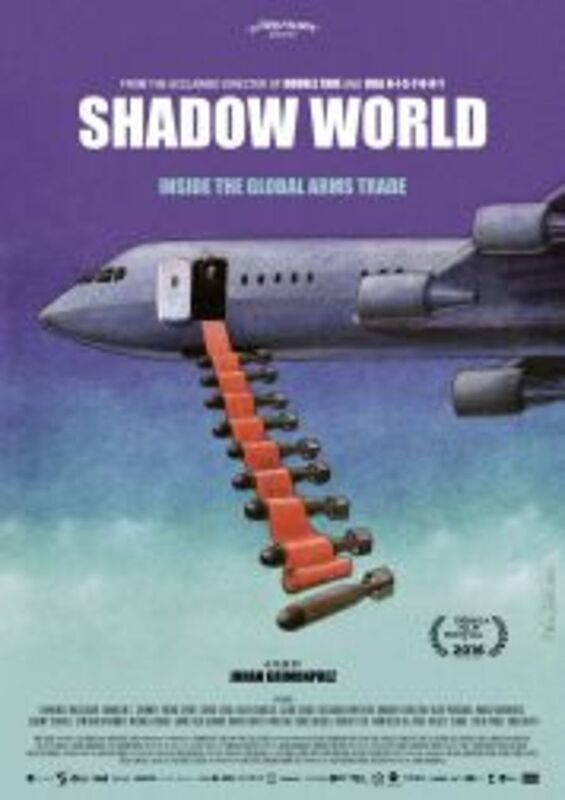 The cinematic documentary SHADOW WORLD (directed by Johan Grimonprez, USA/Belgium/Denmark, 94 minutes, 2016, English) reveals how the international trade in weapons – with the complicity of governments, their militaries and intelligence agencies, defense contractors, arms dealers and agents – fosters corruption, determines economic and foreign policies, undermines democracies and creates widespread suffering. Through the insights of whistleblowers, investigators, prosecutors and military and industry insiders SHADOW WORLD illustrates how the global arms trade operates in a parallel legal universe, in which the national security elite who drive it are seldom prosecuted for their often illegal actions. Ultimately the film shows the real costs of war, the way the arms trade drives it, how weapons of war are turned against citizens of liberal democracies and how the arms trade inhibits rather than enhances security for us all. Andrew Feinstein is a leading expert on the global arms trade and corruption. He is the author of “The Shadow World – Inside the Global Arms Trade”) the book on which the film is based, he has guided the production team on the contemporary issues and history addressed in the film. He is founding director of Corruption Watch UK, and is a former ANC Member of Parliament from South Africa where he served under Nelson Mandela. This event is supported by the Bertha Foundation.